This week’s list is looking pretty empty, with dramas either getting pre-empted or finishing their run. Neighborhood Lawyer Jo Deul-ho 2 has been MIA for two weeks, and there’s no telling what its absence could to to its numbers, which have already been low. Meanwhile, Lawyer Jo’s competitors My Strange Hero and Clean With Passion for Now both had quiet finales, ending with 5.1 percent and 1.6 percent respectively. After more pre-emptions on Wednesday, What’s Wrong Mr. Poong-sang‘s ratings were able to catch up to An Empress’s Dignity‘s. Wednesday also introduced the latest tvN rom-com Reach of Sincerity, which reunited Goblin‘s Yoo Inna and Lee Dong-wook. The drama had a strong premiere with 4. 7 percent. Over the weekend, comedy Legal High and thriller Trap were thrown into the mix as well, both with decent numbers. I just realized Reach of Sincerity is a cable channel show! I hope this means some really hot, steamy kisses instead of wooden ones. Hehehe. LDW would be real hot. Sorry I let my wicked thoughts out like Dan-yi. Hope nobody's ears are turning red. i am so agreeing with you! Poong got to 13% - All the struggle has started to pay off. I'm expecting 15% by next 2 weeks when characters begin to make themselves better. Atleast i hope so. Trap's first episode was actually very good! The suspense was rather disturbing, but I'm really interested in the storyline. It's been a long time since I've watched a classic OCN drama. 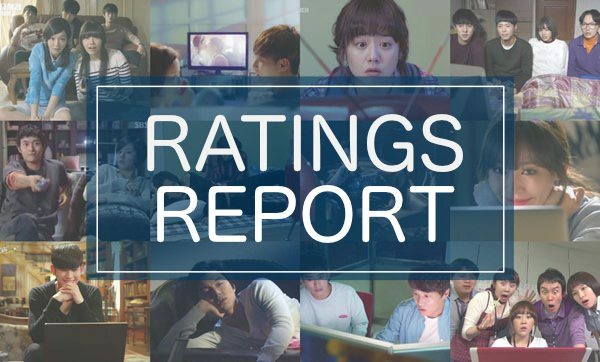 This shows the AGB Nielsen nationwide rating for episode 6 (2-8-2019) is 5.879% (the series high). I haven't watched epi 6 yet but so far I'm enjoying the drama. Lee Na Young's acting is very natural and likeable. This drama reminds me of Encounter a little bit ... noona romance with pacing on the slower side but there's enough to keep the plot moving (at least so far! So hopefully no dragging out when we past the halfway point *fingers cross*). Yes! overcame the barrier of 5. Hurray! I saw episode 6. And I do not know how I'll wait until next week !!! This drama improves in each chapter.🤗🤗 The writing is resulting in a delicious appetizer with each spoon.